This image was used in conjunction with this story, about how Kaiser Permanente (an American health system which prides itself on being Baby Friendly) is now promoting breastfeeding as a means to fight obesity. For our first game, I’ll give you two guesses as to where I am heading with this one. The article states that “The breastfeeding-obesity link is now recognized by key government agencies such as the Centers for Disease Control and Prevention (CDC) and the American Academy of Pediatrics (AAP).” True dat, as they say. The LINK between reduced chance of obesity and breastfeeding is certainly recognized by the CDC and AAP (although last I checked, the AAP was not a “government agency”, but rather an independent association of pediatric physicians). But, um, a link is not a cause or cure. It’s a link. …Breastfeeding is associated with a reduced odds of pediatric overweight; it also appears to have an inverse dose-response association with overweight (longer duration, less chance of overweight). While more research is needed, exclusive breastfeeding appears to have a stronger effect than combined breast and formula feeding, and the inverse association between breastfeeding and overweight appears to remain with increasing age of the child. The three meta-analyses reported in these review articles suggest a 15% to 30% reduction in odds of overweight from breastfeeding. Fair enough. But then the paper launches into a slew of hypotheses about why breastfeeding confers a protective effect against obesity (none of them proven, or even studied, in some cases) and continues with a lengthy discussion about how to improve breastfeeding rates. So what can we gather from this paper? 1. Breastfeeding is associated with a lower risk of obesity. 2. We don’t know why. 3. Breastfeeding rates are low. Hardly evidence-based proof that we should be promoting breastfeeding as a means of reducing obesity, and yet, here we are again, beating the same dead horse. Somebody should probably call PETA. Time for the next game… going back to the image at the top of this post… can you spot the misleading or outright false claims? Breastfeeding also does not “prevent” postpartum depression; this particular claim is outright dangerous. If women believe that breastfeeding protects them from getting PPD, they may fail to seek treatment when symptoms arise. The only studies I’m aware of show an association between breastfeeding cessation and PPD; all this proves is that women who already are showing symptoms of PPD are more likely to quit breastfeeding (another plausible theory is that breastfeeding failure may be a risk factor for PPD). I’m not sure how this image is being used, but it concerns me…. this is exactly how misleading information spirals out of control. If policymakers and physicians do not have the good sense to differentiate between “links” and causalities, what hope do we have for the general public having a decent understanding of what will impact our health? Breastfeeding may be good for baby, and good for mom. But please, can we stop with the false advertising? It’s not fair for the formula companies to do it, but it’s just as unfair for the government or health authorities to make unsubstantiated claims. Maybe even worse – we are taught to be skeptical of big corporations, but most of us still have a blind faith that doctors and health organizations are 1) honest and 2) out for the common good. I still believe #2 but I am highly doubtful of #1. And I’d still prefer the truth, even if does make for a less convincing “sell”. Interesting. I guess she can blame that nurse if her son is chubby at the age of 5, huh? This entry was posted in advocacy, baby-friendly initiatives, breastfeeding promotion, health, obesity, policy, postpartum depression by Suzanne Barston. Bookmark the permalink. This is an absolute gem of a point, FFF, so I had to quote it just to say “YES!” (imagine a little jump in the air, punching fists etc). It's terrifying the utter inaccuracies which public bodies can get away with stating. Gahhhhhhh – what allergy medicine was that?? it drives me nuts when docs use bias to fill in research blanks. e.g. WHO code that says estrogen-progesterone BCPs are contraindicated for anyone who has ever had migraines b/c of stroke risk so they should use prog-only pills, and then it turns out there have been no studies done with prog-only pills and there are lots of scientists who actually think the prog-only may make things worse! It's so much easier for healthcare providers to think in broad-brush absolutes and not have to do their own reading or thinking and the $%&$ing WHO propensity to hand out generic unnuanced and absolutist mandates just feeds into that. Like I commented on your FB . page. It seems to me that lactavism and all of this BF promotion by the govt is a way to reduce women to brood mares and milk machines. That is how I honestly feel. many have accused me of being insensitive on many matters.. dont mean to come across like that but Im brutally honest about these things. But when it comes to BF promotion of any kind, especially by the medical and govt establishments.. Im very offended by it. The local health dept here has posters all over the waiting room telling the “benefits” of BF and has a poster telling moms not to “shy away from it” for fear of being exposed in public. Im sorry.. but I think bare breast in public.. sans baby or not should be indecent exposure. Just dont want my 8 yr old son to see some strange womans breast.. is all. Women can BF in public modestly.. receiving blankets or Hooter Hiders are good products. But what Im really sick of is BF moms being put on a darn pedastal, idolized as the “perfect” mother with perfect specimans as offspring while us FF moms are lower than dirt and our children defective with mulitple defects.. Im just sick of it is all. There is no such thing as the perfect mom or the perfect child. Its not textbook, a parent knows what will work best for their child..
Breastfeeding reduces stress – HA HA HA. Anyone who thinks that should have spend time in my shoes for the first 3 months of my baby's life. Maybe for some women it does reduce stress, but (as we've seen time and time again here on FFF) it clearly isn't that way for many many women. Advocacy like this make me sick. I recently gave birth in a Kaiser Baby Friendly hospital and was told by my L&D nurse that breastfeeding prevents childhood leukemia. I seriously wish I was kidding. Then I got so much flack from the staff for having my can of EleCare there in the hospital and was told by the pediatrician on staff who had never met me that I should not be feeding my daughter formula. I said that my eldest had a SEVERE reaction to my breastmilk that we only figured out after 11 months, 1 UGI, Endoscope and various reflux meds and that our pediatrician knows our plans and she still was arguing with me! I finally just asked her if my daughter was well enough to be discharged. The irony is that two weeks ago after discussing putting her on reflux meds we were told to stop breastfeeding and go straight to EleCare by a pediatric GI! I said we had stopped breastfeeding 3 days postpardum when my milk came in and she had 1 ounce and projectile vomitted it back up at me! We were also offered formula when waiting for one appointment when I said that we forgot the bottle. I think its stressful enough being a mom.. no harm in doing things that will make the job easier for mom. Being a parent is the toughest job in the world. Im sad that its women who will judge another mom for her parenting choices. Rarely do we see men do this.. now I think I know why the majority of my friends are male. “…here we are again, beating the same dead horse. Somebody should probably call PETA.” Bahahaha! Thanks, FFF. I needed that. Honestly, if the agenda is to get more mothers to breastfeed, America should consider revamping its Family Leave Act. You simply cannot simultaneously expect more mothers to breastfeed exclusively for up to six months, while expecting them to return to work 3 months after baby is born (let alone breastfeed for at least a year!). I was shocked to learn that many industrialized countries provide a standard one year maternity leave. Doing studies that conclude the amazing properties of breast milk is becoming a little repetitive and tiresome to me. Mothers and babies truly need more time together than the three month maximum currently allowed in the States. This alone would make for happier, healthier, more secure babies (and mothers! ), regardless of what feeding arrangements have been made. Though I would like to reiterate that if the agenda is to see breastfeeding rates go up, more maternity time would be more effective than doing study after study to put in literature such as this. Agree wholeheartedly. Three months is a luxury that is available in CA and a few other states, most of us get six weeks. That's six UNPAID weeks, thankyouverymuch. Any lactivist who insists this is not about class and wants to romanticize the Poor Women Everywhere Who Manage to Breastfeed is welcome to carry out the experiment of living on savings for 6 weeks with a newborn and then going back to work at min wage and see what happens with the next baby. having said that, there is also a significant percentage of women who cannot BF for health, personal or other reasons with all the family leave in the world and their choices should be respected too. Not every family in the world can be micromanaged in their feeding choices because of someone's righteous beliefs. And of course there are many instances where the father is the one who is at home at first (as was the case for us – luckily I could do flex hours and work from home to BF too but still) and the lactivists seem to have a blind spot about gender equality there. I understand your reaction to public breast exposure Stephanie and I'm ambivalent – always used a cover myself b/c not comfortable with it but strongly defend any other woman's right to show whatever when feeding. I think it's on par with being able to show your legs or midriff and having lived in parts of the world where there is a strong norm against showing either (and for covering your head) I have a visceral reaction against modesty policing. Plus, I got dirty looks from middle-aged men for nursing outside the house even with a cover! If we don't want women with young babies to feel they must be trapped at home if they BF then at some point we may have to accept some exposure that is not within our comfort zone. And there's a lot that I don't want my children to see but that I accept as part of living in a free society, and I figure I can explain things to them and counter the messages I don't agree with, just my $ 0.02. Where was this hospital and what was the name of it, so I can make sure I do NOT go there! I'm pretty sure there are no straight up Kaiser hospitals here in GA but still curious where these kinds of things are happening. You also could have told the nurse who said bfing prevents childhood leukemia that with an absolute risk of being diagnosed with childhood leukemia (all things equal) of .625%, a 19% reduction in the risk (I think the latest number floating around in the “studies”) means that the absolute risk reduction from bfing is seriously like .12%. That sounds like something we should be bullying women over . And that assumes the “studies” are absolutely correct-which we all know is very much up for debate. Heaven forbid they should read the studies or even an abstract of them. I felt like I was banging my head against a wall with my gyns for the longest time over the blanket no-BCPs-if-you-ever-had-one-bitty-migraine rule. Two clicks through Google will show you that the study really only applies to those with a sustained history of migraines with visual symptoms. But heaven forbid a regular-Jane health care provider, let alone a patient, should be trusted to make decisions based on information rather than absolute rules extracted questionably from ambiguous scientific findings. it's enough to turn one into a libertarian. I hate it when the “BF=no asthma” crap comes up. There are most certainly people/children who breastfed and still have asthma. One of the biggest risk factors for asthma is having parents who have asthma. Other risk factors include prematurity and allergies (in general). Perhaps there is a correlation (NOT a causation) between reduced asthma rates and breastfeeding…if so, I would love to know how that link works. I'm not being snarky here, genuinely curious as to what the theories are concerning how exactly breastfeeding reduces asthma. Aside from that, it's totally obnoxious and as FFF said, dangerous, to announce that breastfeeding PREVENTS x,y,z. The only thing we know for sure that breastfeeding directly prevents is starvation. DH was breastfed and had asthma. Because this was in the days before awareness about smoking, and his dad smoked in the room all the time. A friend's daughter, born in clean green CT to a well-educated BFing mother who stayed at home also developed asthma when the parents moved back to a more polluted third world city. Those are my two data points. Yep! My anecdata: my mom has asthma. My sister and I do, she was Bf'ed, I was not. My husband has asthma, as does one of his sisters. Their parents smoked a lot when they were kids. Our sons have asthma, which did not surprise us, as they have two asthmatic parents, and were premature. They were mostly formula fed, they did get a few weeks of breastmilk. I don't know about the BFing status of husband and his sisters, but at least in our families the hereditary links seem clear, as well as a possible trigger factor: cigarette smoke. The US has higher breastfeeding rates than France, however, which has a generous leave policy. It is just not the thing that is done, there. Some research has actually shown higher rates of asthma with breastfeeding, and the info on breastfeeding's relationship with allergies is definitely mixed. Honestly, I haven't read any of those studies, nor do I know the most current info on asthma (though I will look, I have access to immunology journals where I work) but I can only imagine that IF infant feeding has any effect on asthma rates, it would be pretty minimal. I still think there are many other factors that play a larger role. However, I will look it up when I have a minute. With asthma, as with many other diseases, I think it's silly to expend so many resources on seeing if infant feeding shows some correlation. Work on either curing/alleviating and/or preventing the diseases instead. I understand that knowing the origin of the diseases may lead to a cure….but even scientists who find a correlation between lower asthma rates and BFing do not think that BFing is a cure or a preventative for asthma. Kristin, it's for those who have experienced migraines with halo-like or other visual symptoms. The WHO recs and therefore the doctors office questionnaire simply states existence of migraines with such symptoms, not frequency, so I put down the once-in-two-years-at-times-of-stress migraine I tend to get and bam, no more combined estrogen-progesterone pills for me. Irony being that prog-only may, per some studies, be worse. good point about the risk of blood clots while preg…I think the overall risk though is for stroke. And long-term BCP use vs one or two pregnancies in a lifetime can, I suppose, be treated differently re: risk. Still, if BCP use will stop women from getting pregnant frequently it does sound like a no-brainer to weigh personal situation and go for it. The only doc I found who had the sense to take me seriously (I toted the studies to his office and he was actually familiar with them) was one who taught at a university hospital in a different country. My US docs were all sheep. This is why I think WHO recommendations are BS. Amy, I absolutely agree. These correlations are more interesting to those promoting breastfeeding than to those working with these diseases, especially because all the research done on infant feeding effects has to be far from proving causation. Ok, now that I've wandered off-topic, I read two reviews (from this year) about risk factors for asthma, just to get some basic info. 1)It is accepted that there is a heredity factor, and some genome sequencing has taken place to find common mutations. Several have been found so far. 2)The hereditary factor puts children in the “high risk” category, meaning they are more susceptible to environmental factors that trigger the asthma. Currently, it is thought that rhinoviruses and exposure to allergens are the most common/likely environmental factors that lead to childhood-onset asthma. RSV in high risk infants, for example, was strongly correlated. 3)The paper about genetics did not mention breastfeeding at all. 4)The other review mentioned that a study had been done where BFing was a controlled factor, but other interventions were also in play and it was impossible to know which one/combo/any had influence over the onset of asthma. I just dont uderstand why you think you need to ” talk up” formula. While you talk about all of these things that you are trying to disprove about breastfeeding there are many other things that you cannot disprove. Formula has its place and there are many moms that are forced into having to use formula because of various reasons. I am not against formula because we would have starving babies for sure if we did not have it, but i am a breastfeeding mom and would rather give my child what God intended. I am a stay at home mom and i know that not everybody can be. it would be nice. breastfeeding is natural and best for baby but most importantly as long as mother and baby are happy thats all that should matter. Not sure why you think I'm “talking up formula”? Why would it be nice if everyone were a stay at home mom (if I understood correctly and that is in fact what you meant to say)?I personally think it's nice that we live in a place and time where every woman and family can make that choice for themselves. I don't go around saying it would be nice if everyone could be a working mom despite the fact that I was raised by one, all of the women in my family were/are ones, and I plan (both out of desire and necessity) to be one should I decide to have a baby. This made me laugh out loud. It's such classic passive-aggressiveness. If you think all that matters is that mother and baby are happy, certainly if you read the stories of women here you'll see that the ability to freely choose to formula feed for a variety of reasons has helped many women and babies to do just that and incorrect assertions about the health benefits of nursing/risks of not doing so are unhelpful in that regard. But you set up breastfeeding “as God intended” against women “forced” into having to use formula as a last hedge against starvation, because BFing is “best for baby” – clearly you want to hammer home that you think your way is the best and other choices are by implication inferior. This kind of “not to judge you but let me tell you why my way is so much better and if you deny that you are just defensive” is patently absurd and it seems like every second lactivist who pops into this site repeats the exact same thing. It's tiresome. Listen to yourself, really. Talking up formula, yet we have people talking up breastfeeding all the time? Worse we have FF moms called child abusers, lazy, selfish etc. Just because a woman has a child doesnt make her breast public domain and she certainly is obligated to give it to her child or her mate. Not every woman is “forced” into using formula.. some do so by educated choice. I did by choice and medical need. What is so sad that women use this to tear each other down. You breastfeed, well good for you give yourself a cookie. Doesnt make you any better of a mother or a real women. Of course lactivists are going to be threated by and lash out at this blog. The points of view expressed on here encompass reason, rationale, scritiny of facts, and perspective of risks/benefits-all of which undermine their position/arguments. Just goes to show you how shaky those arguments truly are. It's not enough to spread misinformation, fear, and half truths about breastfeeding-they want to begrudge moms moms who formula feed a safe forum to express their thoughts, experiences and feelings. Just to clarify-I meant militant/extreme lactivists-not lactivists across the board as I'm sure there are plenty who are reasonable/rationale/truly care about helping women meet their goals-whatever they are. Hate broad sweeping generalizations and realized I sounded guilty of it in the above post. That Kaiser poster makes me sooooo angry. I am an LC and am increasingly disturbed by the manipulation, bad science, and shame used to “promote” breastfeeding. It is disgusting. I understand that it is a reaction to concerns that hospitals were undermining the efforts of families who chose breastfeeding. But this is absolutely revolting. The part about SIDS especially. What people read is “formula feeding increases the risk of SIDS.” How shameful! SIDS is a poorly understood syndrome, with varied theories about what may or may not prevent it. Here's what “Baby Friendly” should be: If you want to exclusively breastfeed your infant while at our facility we won't take your baby to the nursery without your consent and feed it large amounts of formula. You and your baby won't be apart unless you want to be. We won't make you feel like your decision to breastfeed is a burden on our nurses or pediatricians. We have LC's available if you'd like one. The end. I think I love you. Yesyesyesyes! If there were more LCs/breastfeeding advocates like you, I wouldn't be determined NOT to breastfeed when I have a baby. You freaking rock. I have been reading all over this wonderful blog for a few days now and have become almost addicted to it. I have made a few comments to myself over a few posts (both agreeing and disagreeing) but when I read the post above saying breastfeeding is “what God intended”, I had to speak up…. God also intended for women to be able to conceive a child and give birth. Well guess what? That isn't always the case. We adopted our son nine years ago. By blood, he is my second cousin. His birth mother was a severe drug addict who was in prison when she gave birth (well, in a hospital, not a jail cell). She called us three months before he was born and asked did we want him. (We had tried almost every possible route to conceive a baby on our own for 6 long years prior to this). We met him 14 hours after he was born and took him home the next day. His adoption was final three months later. I had three short scary months to get prepared for a new baby. With her drug use, who knew what challenges we could possibly be facing? I was scared to death she would change her mind, so scared that I wouldn't allow my friends to host a baby shower until he had been home for a few weeks. I once had a lady tell me I should breastfeed my son. I let her know really quick that he was not only a surprise but an adopted surprise. Besides, I didn't know then about forcing lactation and honestly probably wouldn't have done it if I had. I told her he was just fine on formula and she scoffed and tried to educate me on the miracles of breastmilk saying he might have delays and illnesses, those things we are all so eager to hear for the bajillionth time. Not that I dispute the benefits of BF'ng. I think it is great for those who can and want to. My poor pitiful (sarcasm) son sat up at 4 months, crawled at 6 and was walking just a few days shy of 9 months. He could talk better than most five year olds when he was two. At almost three years old he told us he wanted to be the doctor that travels into space with the astronauts. This child has to date (9 years later) has had two ear infections and only minor little colds. He has tested off of the charts for learning and intelligence. My poor pitiful formula fed child just scored one of the highest grades on end of grade testing. He is smart because he has parents who took time to play, teach and nurture his curiosity and passion to learn and discover. He is healthy because he eats well and takes care of himself. My poor pitiful formula fed child….I guess if he would have been fed the way God intended, he could already be in space with NASA's finest. I have Kaiser coverage here in Oregon. They definitely promote and support breastfeeding. In their defense, I will say that when I was in the hospital and my baby lost 10 % of her birth weight within the first couple of days, they marched into my room with bottles of formula and helped me to understand that the first priority was her weight and her health and that supplementing at this point was medically necessary. They then provided me with the tools and support I needed to also continue to breastfeed as much as we were able to. On the negative side, their bureaucracy makes total idiots out of them. I have been told conflicting information on numerous occasions as to whether I can continue to access their free lactation consultant under my own policy, since my child was only covered by them for 30 days. I also did not think their lactation consultant was very helpful and ended up paying out of pocket for someone better. I have an ongoing love/hate relationship with Kaiser! God did intend for all to be breastfed that is fact. Artificial Baby Milk (Formula) is factory made and a processed food which is for sure not best for anybody especially a baby with a compromised immune system. Unfortunately we live in a high technology un-natural world and this may be the only option for babies to live because we work too many hours or are not given an opportunity to pump or do not have any type of support to assist in breastfeeding issues that may come up. Also many of us do not have anyone in our family that has breastfeed and it makes it a difficult task to learn although it is such a natural thing to do. Also trauma especially sexual trauma is also an issue that comes up with this. Birth is also a “natural” thing that many women are not capable of doing without drugs anymore.And yes we do not live a “natural” life it is all hurried and processed especially our food so I think it is only natural to have issues breastfeeding lol. Lets be real in an ideal world breast is not only best but the only option but we don’t live in an ideal world anymore so please let us not put mothers against each other, I think we ALL do our best for our children. Let us not judge each other we get enough of that already but support each other no matter what we choose. 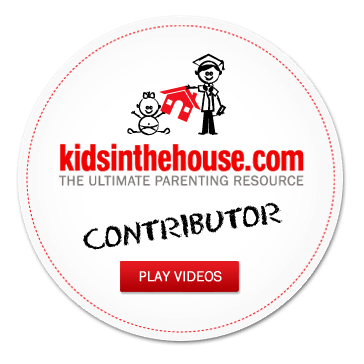 I came onto this website to find some helpful tips on weaning my child however I feel I have come across so many negative / defensive comments . Especially taking the mickey out of the Kaiser policy. Why can’t we all just do what we want to do and not worry about anyone else. Reading this is so toxic and unnecessary. Feeling sorry for the other mothers on here having to read this. A lot of people with some deep setted issues on here! Sorry won’t be coming back to this website or referring to anyone else!